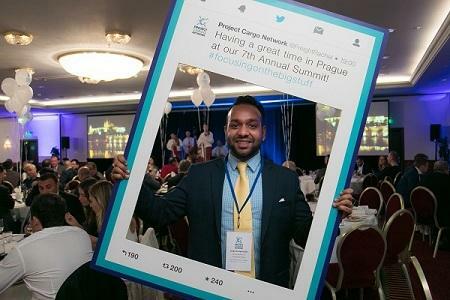 Over 185 CEO’s and Senior Managers from more than 80 countries collectively traveled over 267,000 miles to attend our 7th Annual Summit in Prague from 19-21 November 2017. See Group Photo. Guests were warmly welcomed at a Welcome Reception which was followed by a Gala Dinner with entertainment by a Cymbalo band using traditional folk instruments to perform arrangements of modern songs. A fun Twitter Competition with special PCN selfie sticks and props ensured lots of smiles. View our Gala Dinner & Meeting Room photos. PCN President, Rachel Humphrey officially opened the event and a video was shown regarding both the organisation and details about the meeting. Various membership incentives were then highlighted including a new Staff Exchange Program and eLearning Platform, as featured on page 19 and 102 respectively in the Nov/Dec 2017 issue of HLPFI. This years’ Guest Speaker was Mr Kollatt Muhajiz, Key Accounts and Business Development Manager for Break Bulk & Heavy Lift cargo at the newly centralized CMA-CGM Project Cargo Division in Marseille. Kollatt oversees all Ports and Terminal activities for operations and procurement of break bulk handling and the presentation covered the structure of CMA CGM Project Cargo division with examples of various bookings carried on their vessels including the heaviest containerized breakbulk piece at 457mt. Over the 2-day gathering, more than 2230 individual business meetings took place. During these important sessions, delegates exchanged information and investigated possible collaborations together. These crucial meetings provide an opportunity to review current and upcoming government and private projects in the manufacturing, oil and gas, infrastructure, construction, power and energy sectors among others. The Annual Award Ceremony was presented by Rachel who said "to ensure the awards are fair to the smaller markets, the results are calculated using a ratio of how highly each company scored against the number of companies they work with from our 2017 Quality Control Survey." An evening dinner excursion was enjoyed at Kolkovna Celnice, a local restaurant that accentuates the pride in the long and famous tradition of Czech beer brewing. Owned by the Pilsner brewery, the venue is decorated with period photos and brewing equipment. Live music added to the relaxed atmosphere after a busy day in the meeting room. During the registration process, funds were raised for the Child Refugee Crisis Appeal run by Save the Children. An additional donation by Special Guests, HLPFI and a very generous gesture by our Twitter Competition winner, Patrick Lo of Canaan Shipping whereby he kindly donated his 1st prize of an Annual Fee (worth £1050) to our fundraising campaign brought our total to £3450. The donation will help towards working with child refugees around the world - from Lebanon to Jordan, Greece to Finland. Keeping children warm by providing warm clothes, blankets and fuel for heating. The charity also distribute food, water, blankets and tents to refugee families. See Fundraising. At the end of the meeting, Rachel said "We could not have wished for a better event, and it really inspires us at the PCN Head Office to see our Members working so hard during the gathering. 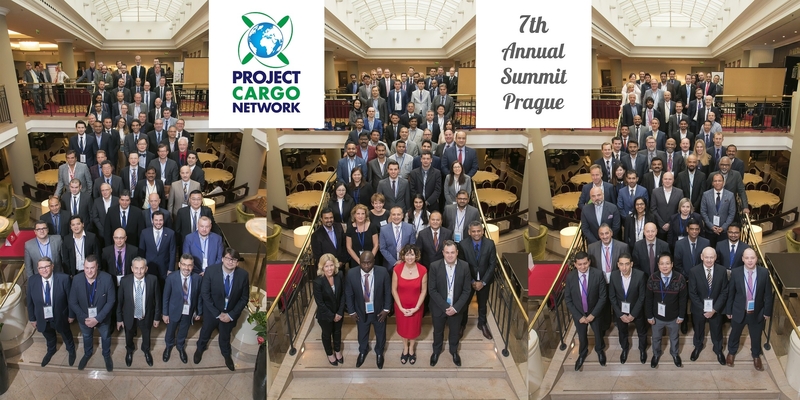 It was wonderful to welcome so many new faces and the gathering shows that PCN continues to be a highly active and connected community of heavy lift and project forwarders who want to discuss current and future challenges, share knowledge, network and develop relations. We will endeavor to continue to provide the right platforms to do this and to maintain our high calibre of membership. We’d also like to say a huge thank you to our Guest Speaker, Mr Kollatt Muhajiz and Special Guests, Paul Lucas and Mike Hayes of HLPFI."